Ramayana – the most glorious epic of Hindu Culture, yields innumerable gems each time a sincere seeker approaches it with devotion. 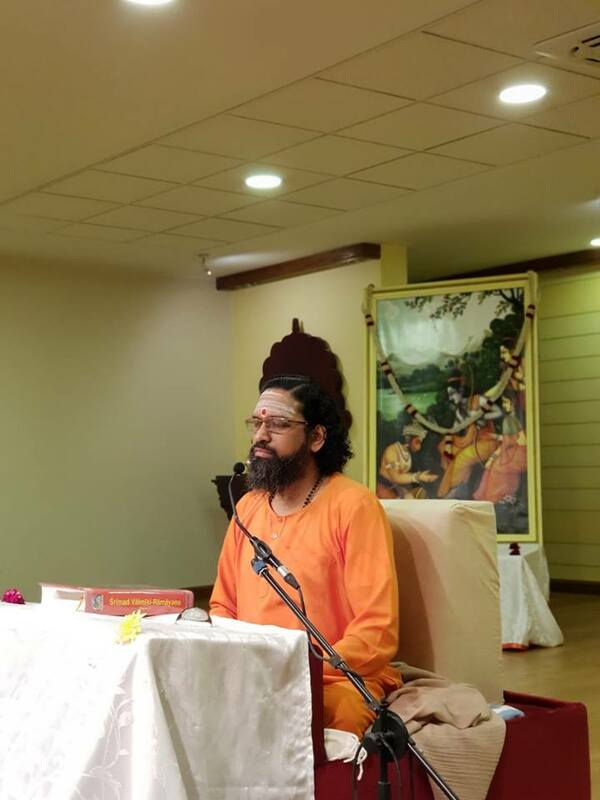 Elaborating on the Balakand of the Valmiki Ramayana on the first day of the July Monthly yagna, Swami Abhedanandaji beautifully expounded on the importance of having the right qualities and also described the incidence which compelled Valmikiji to write and share this divine epic with the world. 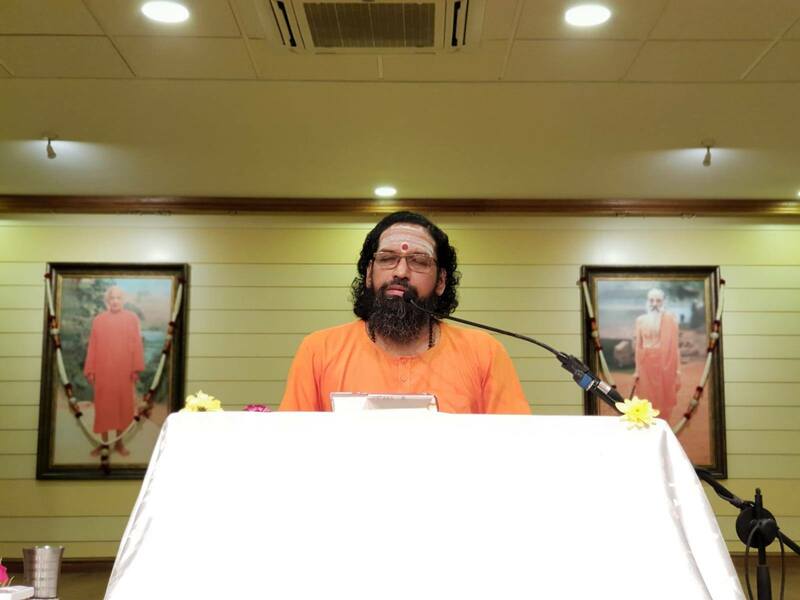 We bring to you some nuggets from Swamiji’s nectarine discourse. Any good quality of the mind makes the person non-vulnerable from a certain area. 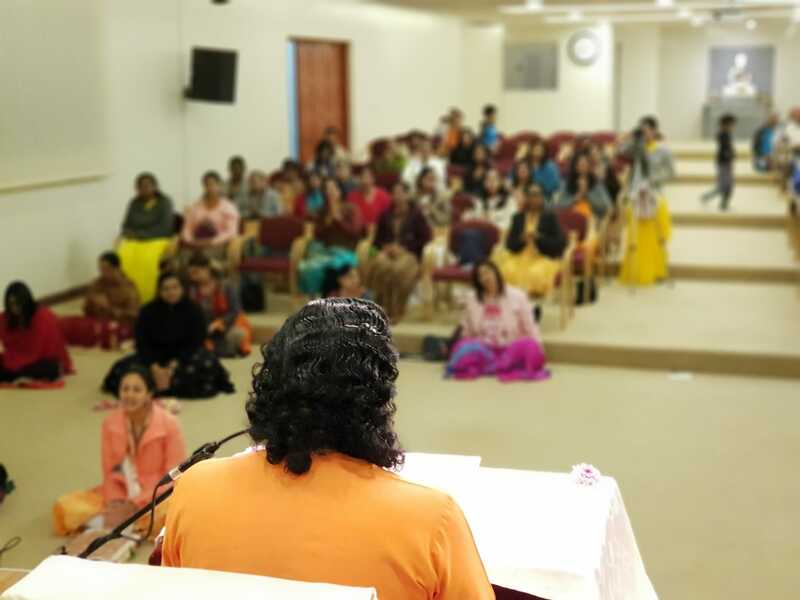 For instance, if someone has the spirit of ‘seva’ in him, then he will not see any work as small, rather he would jump at any opportunity he gets to serve the people around. On the other hand, not having a certain value means that there is cause of potential disturbance of the mind. Every quality that one has, insulates him from a lot of disturbances. World doesn’t disturb us, world just brings out the hidden disturbing tendency in us. Manthara only brought out the weakness in Kaikeyi which was already in her. Weakness of a person is not physical weakness but his mental inability to stick to his duties. Every weakness is like an open wound; if the wound is even slightly touched, it gives a lot of pain. Every good quality in us, gives joy to us as well as to others. One good value (dharmic quality) in a person is like a cooling shower for himself as well as for others. We live with the values of a person. Our values should be such that others would want to spend time with us. Valuables don’t make us valuable, but it is the values in us that make us valuable. We are respected not for what we have, but for what we are. It is Dharma alone which holds a house, an institute, a workplace and gives joy to everyone. A person is known by his sensitivity. Any great work requires a high level of sensitivity. Evolution of a person is the evolution of his sensitivity towards the Higher. Shri Bharatji and Lakshmanji were highly sensitive to the joy of Bhagwan Ram and that is why they were able to give immense joy to Bhagwan Ram. An important point about ‘sensitivity’ is that our ‘sensitivity’ has to be with ‘sensibility’. Devolution of a person is when his sensitivity is towards something lower. Such a person becomes highly sensitive towards what he did not get rather than being sensitive to what he can give. A person who is sensitive towards the lower always remains sorrowful. Our mind catches the thoughts of those topics alone, towards which we are sensitive. And therefore, devotion and meditation also requires a high level of sensitivity. Devotion means being sensitive and understanding towards what will please the Lord. Everybody has a thinking area, a centre around which our thoughts revolve. That thinking area is the area of our identification. To play our roles correctly requires high level of identification with the bigger. For example, even while working in an office, many a times people do extra work for which they are not even paid for. This is due to their identification with the larger purpose of the organisation. One needs to be highly evolved to play his role correctly in any and every walk of life. It is said that Brahmaji prompted Valmikiji to see the complete leela of Bhagwan Ram, and thus prompted him to chant the whole Ramayan narrating the beautiful leelas of Bhagwan Ram. Valmiki Ramayan is the foundation of all other Ramayan written over time. The main purpose of Valmiki Ramayan was to bring out the Dharma aspect of Lord Ram in great detail. 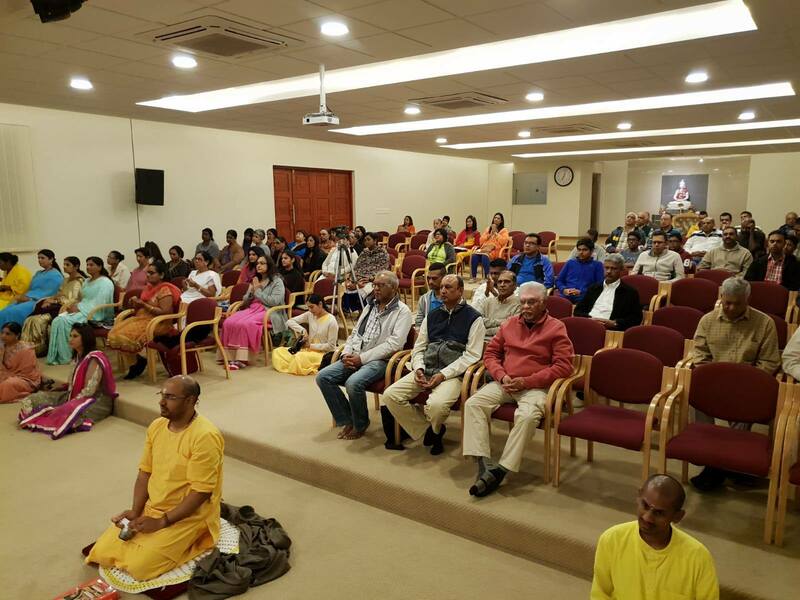 On the second day of the yagna Swami Abhedanandaji further enraptured the audience with the beautiful pointers from the Valmiki Ramayana. 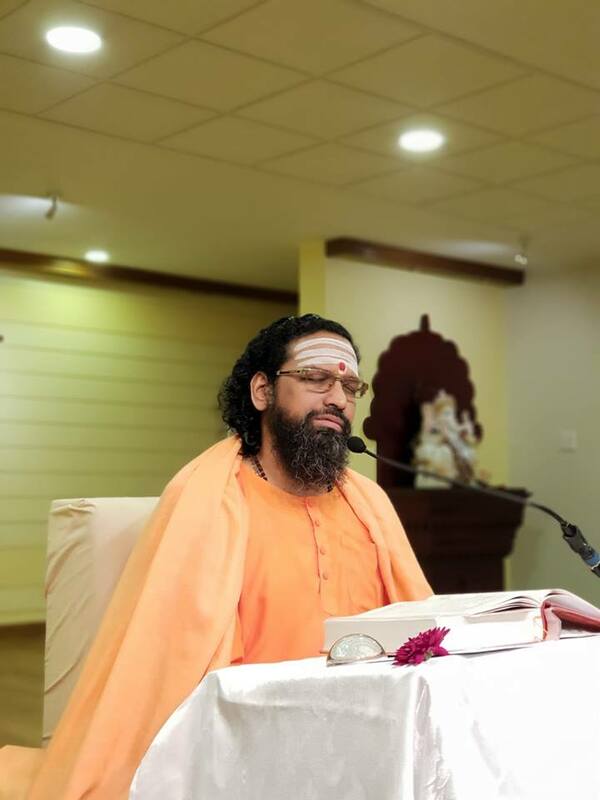 Swamiji emphasized on the importance of merging our sankalpa with the sankalpa of the Lord and also elaborated upon the beautiful characteristics of Luv & Kush. We bring to you some snippets from Day 2 discourse. When a person dis-identifies with his own selfish desires and identifies with the Lord, the complete power of the Lord starts manifesting in him. It is one’s selfishness that obstructs the expression of divinity in him. When Valmikiji was Ratnakar (dacoit), he had walls of selfishness and cruelness within him and even though Ramayana was already present, it was not revealed to him by Lord Brahma. We also have a lot of walls within us, walls of likes & dislikes, walls of desires, walls of expectations etc., and because of these walls we have dissociated ourselves from the macrocosm. It is our strong sense of enjoyer-ship that makes us hard from within. We tend to become insensitive towards the joys and sorrows of others. Ramayana expressed in Valmikiji when he took the Lord’s name and performed austerity. His austerity defused his hardness and sublimated his wrong individuality and notions. All sadhana in a seeker’s life is to break the walls within, which are keeping him disconnected from the higher. If one cannot identify with the higher, he will identify with something small and will work for small. When one identifies with something higher, something bigger, his source of energy is also very big; but when one identifies with something small, then his powers are also very bleak. Therefore, those who work for higher, they have immense courage and stamina. Strength comes in a person not because of his money, beauty or power but because of his connection with the infinite divinity. More a person is one with the infinite, more he will have knowledge, love and chastity. Even a little squirrel became powerful because it got associated with the higher (Lord Ram), and even the mighty Ravana became powerless because he cut himself from the divine. To grasp the thoughts of the cosmic mind, one’s mind should be empty of his own individualistic thoughts. Brahmaji chose Valmikiji as the author of Ramayana because Valmikiji was devoid of all selfish desires and ego-centric thoughts and he was the right paatra (vessel) to take Brahmaji’s sankalp. Deep thoughts and brilliant ideas spark in the mind of the person who is empty of his own selfish and lower thoughts. Human mind has tremendous powers, but those powers are brought out only when one identifies with the higher. Mahatma Gandhi identified with the people of his country and hence he had the power of millions with him. Depersonalization of our mind is the secret of long lasting inspiration! It is written in Balakand of Valmiki Ramayana, that in the ashram of Valmikiji, there lived Luv and Kush, sons of Lord Ram and Mother Sita. When the Ramayana was revealed to Valmikiji, he wanted to find suitable people who could spread its glory & knowledge to everyone. This is when Valmikiji narrated the whole Ramayan to Luv & Kush. Being extremely brilliant, Luv & Kush grasped the whole katha and started singing it beautifully. Luv-Kush are described in the Ramayana as Mahatmas; their nature resembled that of Lord Ram. They had all the knowledge of Dharma and also had Gandharva vidya, i.e. they could sing very well. It is said that when saints heard Ramayana from them, their eyes were filled with tears of joy. When they recited the Ramayana in front of Bhagwan Ram, Ramji stepped down from His throne and heard the whole Ramayana sitting among the common people. As Luv-Kush began singing the Ramayana, they first described the qualities of King Dashrath and the qualities of the people of Ayodhya. King Dashrath is described as the one who is the knower of Vedas, who is prosperous, foresighted, mature, and extremely brilliant. He was the one who abided in Dharma; he was self-controlled; his enemies feared him and he had a lot of friends as everyone loved him. He is also described as one who conducted himself very well with his subjects. Ministers in the palace of King Dashrath are described as, the ones who had lot of knowledge, who were well-versed in Vedas & all the scriptures. They were extremely humble and soft-spoken, and never spoke instinctively (had shamefulness & modesty). They were all mahatmas and saintly. They were adept in military skills and had forgiveness in them too. They exhibited no anger or desire for wealth; and they never spoke false. They were ‘Vyavahaar kushal’ i.e., they were such that they didn’t reject anyone, rather they worked with the goodness of the people to bring out bigger goodness in them for the good of the whole Ayodhya. These qualities are mentioned in detail in Valmiki Ramayana so that our mind is attracted towards reading this beautiful text and also for us to draw inspiration so that we can imbibe them in ourselves too. On the third day of the enchanting yagna on Balakand of Valmiki Ramayana, Swami Abhedanandaji enlightened the devotees with the characteristics of a Mahatma. Describing the character of Rishyasringa, Swamiji beautifully explained the power of tapasya (austerity) and how the pure sankalp of a devotee (Dashrathji) can even beget him the Lord of the universe as his son. We bring to you some gems from Swamiji’s beautiful discourse. To live a happy life, we need more than just food and shelter. We need good thoughts and right notions. 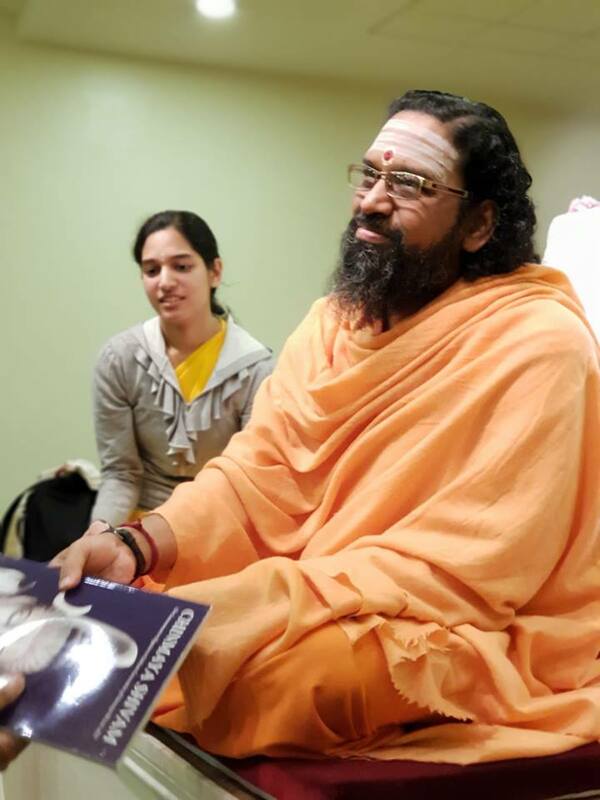 Study of great epic like Valmiki Ramayana is to facilitate the process of cultivating right thoughts in us so that we can have those qualities which give us fulfillment, quietness and strength within. A Mahatma is the one who thinks not just about himself but for the welfare of everybody. A Mahatma is the one who is very forgiving. A Mahatma does not hold any grudge against anyone; he does not have any malice in his heart. He does not have the instinct of self-negligence as he is devoid of ego. He has no desire to get attention from anyone. He doesn’t seek any praise or love; he thinks that the Lord alone is worth praising and worth loving. He does not have any anger because of his ego, whatever anger he has is on himself because of his shortcomings. A Mahatma is the one who is very easy to live with. He does not impose himself on anyone. In Valmiki Ramayana, there comes a story of a great rishi named ‘Rishyasringa’. It is said that he used to live in a forest with his father named ‘Rishi Vibhaandak’ and used to serve his father day and night with great devotion. Rishyasringa had done so much of tapasya that by his mere presence, any famine-affected kingdom used to get pouring rains. He also had immense knowledge of the Vedic mantras, so much so that he was the only rishi of that time who could perform vast yagnas such as ‘Putreshti yagna’ – yagna performed for begetting a son. As the story goes, King Dashrathji goes to Rishyasringa with the desire of having a son and Rishyasringa agrees to perform the ‘Putreshti yagna’ for Dashrathji. Dashrathji had a very pure sankalp of having the Lord as his son. And in his past birth, Dashrathji had done a lot of tapasya with this sankalp. To have such a great sankalp is the sign of great devotees. If we have a pure sankalp, then no matter how farfetched it seems, it surely fructifies some day, if not in this birth then next birth, but it does fructify. Hence one should keep working towards his pure sankalp, and not give-up his higher goal. As a result of the tapasya of Dashrathji and the power of the ‘Putreshti yagna’, Lord Vishnu decided to take Avatar as Lord Ram in the house of Dashrathji. There was one more reason for the Lord to take Avatar and that was to kill Ravan as he had created a lot of tremor during that time in the whole cosmos. Why does the Lord take Avatar? Just as a father, while playing with his toddler, happily becomes a horse or an elephant on whom the child can ride, similarly the Lord also takes Avatar and becomes a father, or a mother, or a friend, or a child as per the bhaav of the devotee. If Bhagwan doesn’t take Avatar, we wouldn’t be able to pray, we won’t be able to seek support. Each one of us wants a personal God whom we can call upon anytime, whom we can approach whenever there is a trouble, whom we can ask anything, whom we can claim as ‘mine’. No matter how many times you call your personal God, He comes running for you. He is never tired of you. You need your personal God to take away your loneliness and resolve the uncertainties of your life. To get that personal God, Dashrathji was performing the yagna. Such a personal God is our biggest requirement. Those who don’t have their personal God, they are spiritual orphans. A very big requirement of our life is that someone very powerful should be with us who can take away our sorrows and ignorance. And that someone can be no one else other than the Lord Himself. No worldly person can solve our problems for a long time. We have a lot of capacities in ourselves. One great capacity we have is – To call the Lord and melt His heart such that He identifies with our sorrows and removes the cause of all our sorrows. Even though we all this capacity to melt the Lord’s heart, most of us do not invoke it. Without invoking this power, one cannot achieve the higher. Anything bigger and higher that we have received in our lives has come to us from the melted heart of the Lord and not due to our own actions. Tulsidas became Tulsidas because of the melting of Lord Shiva’s heart upon him. Similarly, Kalidas became Kalidas because of the melting of Mother Kali’s heart upon him. Lord holds the key to our happy life. We just need to surrender to Him and love Him. When we don’t have sufficient surrender, sacrifice and purity, then we are not able to melt the Lord’s heart. Only when we become soft, we will be able to milk the grace of the Lord. As the story goes, with the performance of ‘Putreshti yagna’, King Dashrath was blessed with four children with great qualities, namely Ram, Lakshman, Bharat & Shatrughan. Once, when they were around 16 years old, the revered sage Vishwamitraji arrived and asked Dashrathji to give Bhagwan Ram to fight against the demons Tadka and Mareech to protect the rituals of yagna etc. Dashrathji had so much love for Ramji that he couldn’t bear the thought of separation from Ramji. Listening to Vishwamitraji’s demand, Dashrathji started feeling unconscious; his heart started beating very fast as if someone tore him apart. He fell flat on the ground in front of the whole congregation. As Dashrathji somehow gathered his senses, he said to Vishwamitraji, “Ram is only 16 years old. He is not fit to fight with the vicious demons. If you want that those demons be killed, then I can come with you with my big army. Ram is only a child right now, he is very innocent. Please take me with you instead of Ram. Even for a moment I cannot live without Ram!” Listening to this, Vishwamitraji got very angry so much so that the earth started shaking and trembling. To quieten Vishwamitraji’s anger, Guru Vashishtha explained to Dashrathji how the rituals of yagna alone granted him the boon of having children, and thus Dashrathji should protect those rituals by all means, and Dashrathji should willingly send Ram with Vishwamitraji. Upon listening to the words of Guru Vashishtha, Dashrathji surrendered immediately. He had immense Guru Bhakti. In Guru Bhakti, a person is ready to sacrifice anything. Dashrathji gave both Ramji and Laskshmanji with a joyful heart. Any great thing is not meant for one person, it is meant for everybody. Family, friends, relations are not meant for one’s own enjoyment. If one tries to enjoy them only for himself, then they are sure to become a source of problem for him. 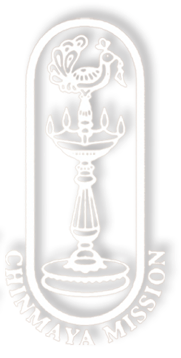 Vishwamitraji represents ‘Bal’ (strength) and Vashishthaji represents ‘Gyan’ (knowledge) – both ‘strength’ and ‘knowledge’ are required to accomplish anything big. For instance, if one wants to do Japa, he needs both the knowledge (gyan) of how to do Japa and also the strength (bal) to go ahead and do it regularly without fail. Ramji and Lakshmanji unquestioningly went with Vishawamitraji and lived happily in the ashram. During their entire stay, both Ramji and Lakshmanji never asked Vishwamitraji for anything, rather their whole attention was on how they could serve Vishwamitraji. Ramji here demonstrated that dharma of a person is to selflessly offer himself to the higher. It is one’s selflessness alone that melts the heart of the higher. Life requires lot of selflessness from us. World around us silently keeps saying, ‘Don’t expect from me, don’t be angry, fulfil my demands, tolerate me, love and serve me, even when you may get nothing in return.’ World is echoing these things day and night, but we fail to hear that. Ramji demonstrated how one could practice this selflessness and fulfill the purpose of living by serving the higher.